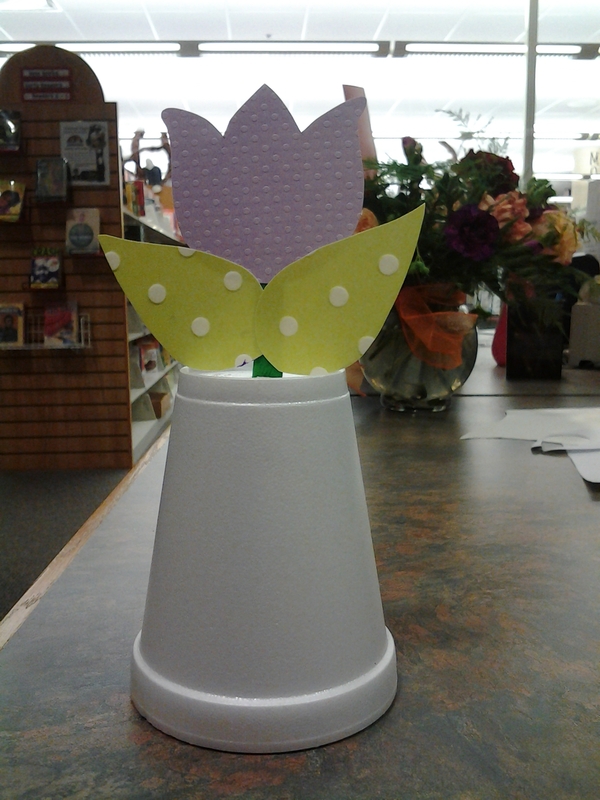 Beth at the library asked me to come up with a fun Mother’s Day craft for our library magazine this month, and this was the first idea that came to mind. I did this craft many years ago when I used to do storytime at a Borders bookstore. It was a huge hit and I thought it would be fun to do for Mother’s day this year. I’ve never done it at the library as we usually have much larger crowds of kids and also because the nail polish gets really stinky! But in smaller groups or working one on one with a kid makes this a really fun craft! I’m not sure exactly where I originally found this craft, but I’m pretty sure it was from one of the many fabulous craft books by Kathy Ross. She has some really great ideas for making awesome crafts from items you can usually find around the house. If you haven’t checked out any of her craft books yet, I highly recommend tracking them down at your favorite library. 1. 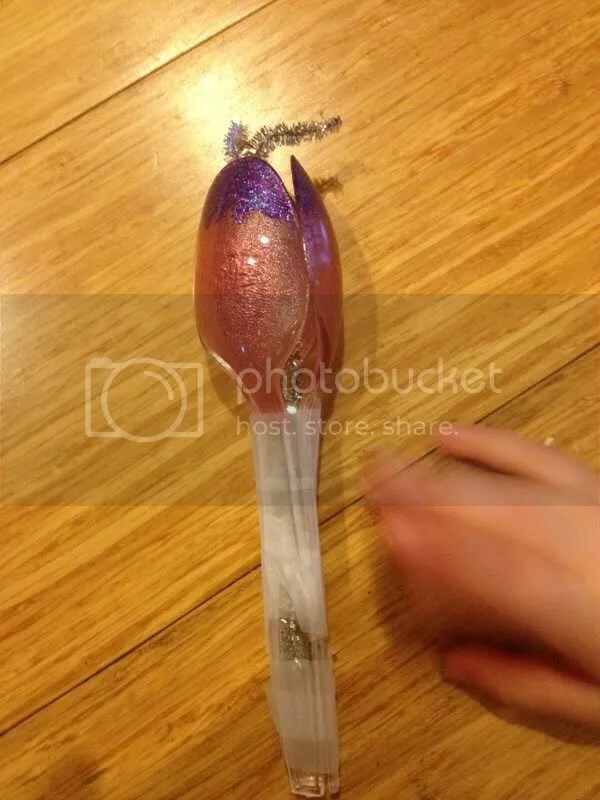 Paint your spoons with nail polish. I prefer using clear spoons and just painting the inside of the spoons (the bowl part) then the color shows through to the outside and looks nice and smooth. Also you can do fun effects by layering colors. Of course you can also simply purchase colored spoons and leave them the color they come in or add details with the polish. Let dry completely. 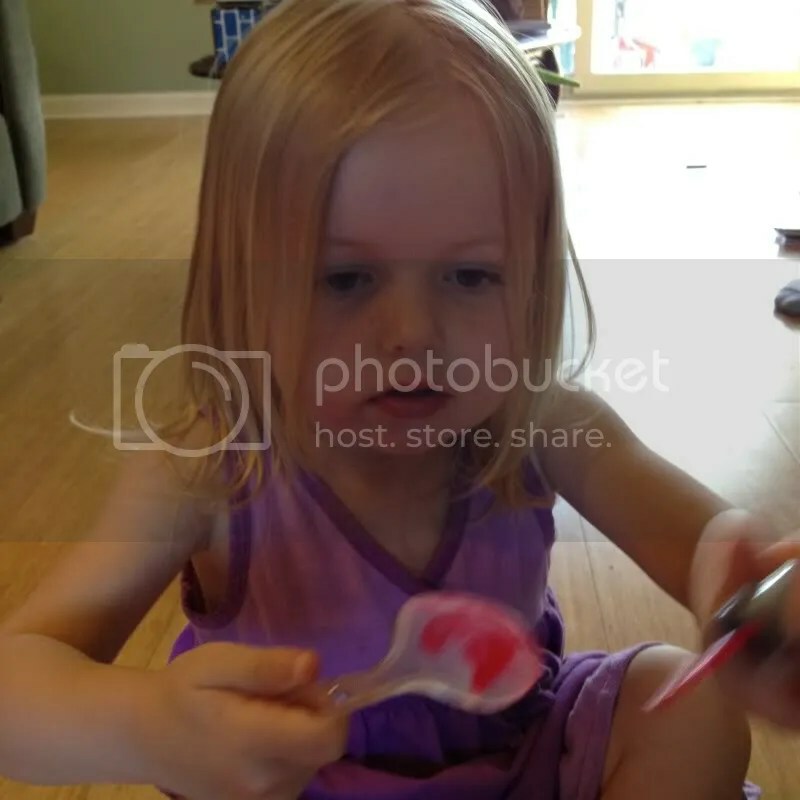 Lexi works hard on her spoon too, while I panic about her flinging nail polish everywhere! 3. 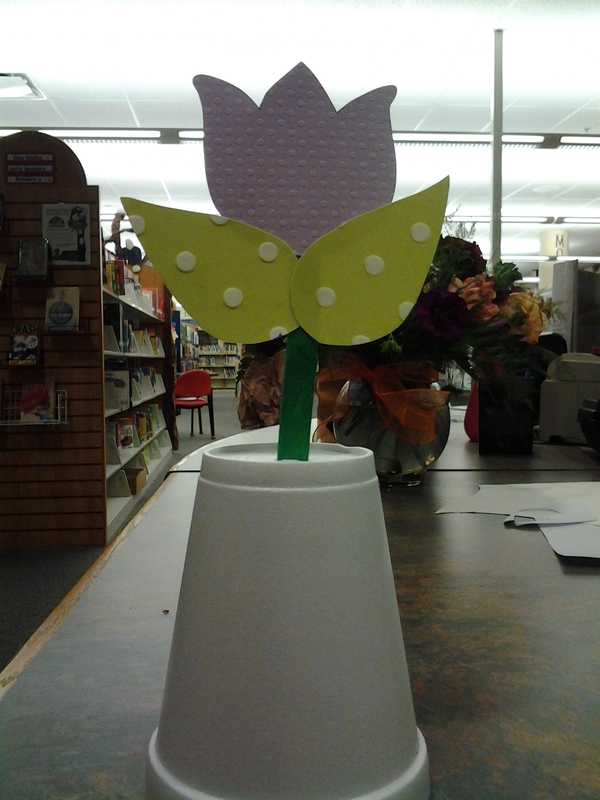 We used green construction paper to make our stem, but you could also use felt or florists tape. Cut your paper/felt into a long thin strip, about an inch wide by 11 inches long. 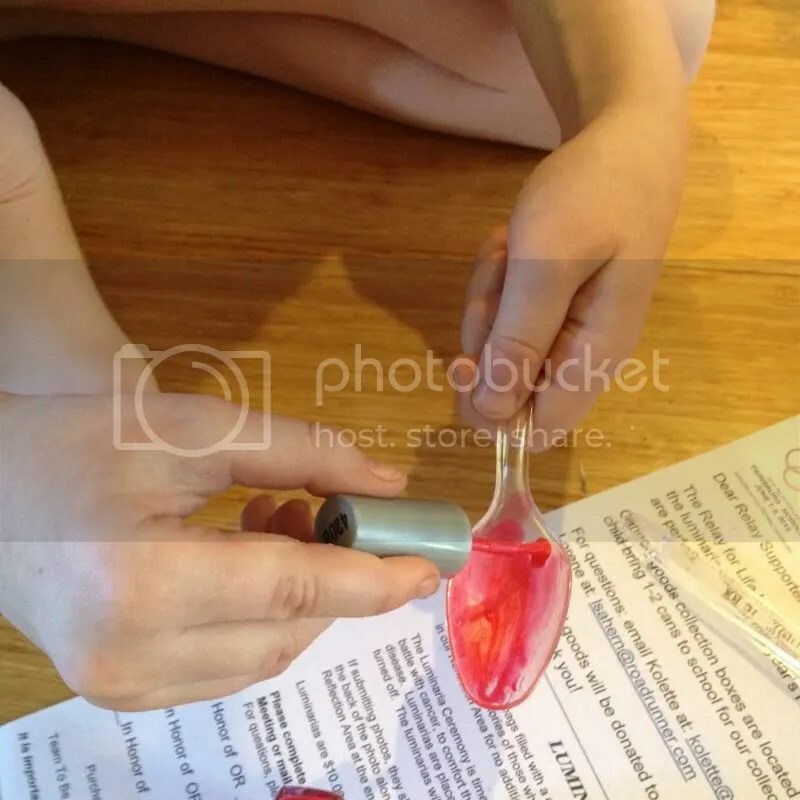 Secure one end of the strip to the top of the spoon stem with tape and wrap the paper around the spoon. 4. Cut two leaves from paper/felt fold them in half vertically and then wrap them length wise around a pencil to give them a nice curve. Attach them to the base of your stem with tape. 5. You can be finished at this point and have a pretty flower or you can put your flower in a pot. 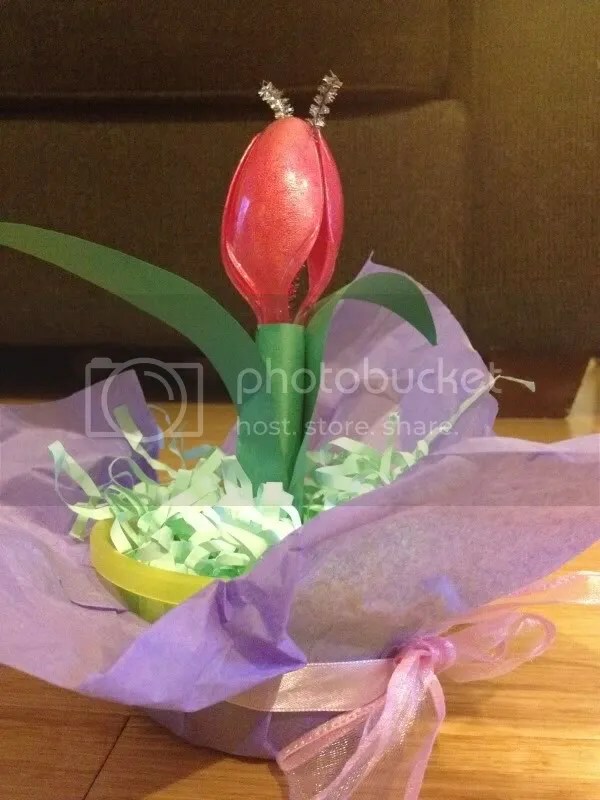 Tape or glue your flower to the center of the bowl and put the Easter grass around it in the bowl. 6. 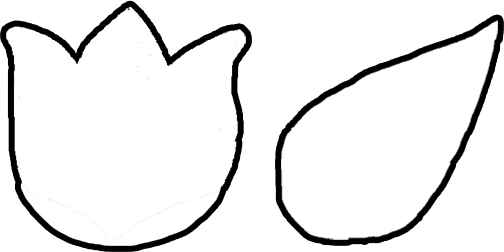 Cut a square of tissue paper that’s just large enough to wrap around the small bowl. Secure the tissue paper to the bowl by placing a small piece of looped tape to the bottom of the bowl before wrapping the tissue paper around it. Tie a pretty bow around the bowl and tissue paper for a finishing touch. For the March/April Magazine, Miss Lucy and I decided to feature a snack and craft for spring. In the magazine, Lucy shared a recipe for making yummy dirt cups complete with worms! 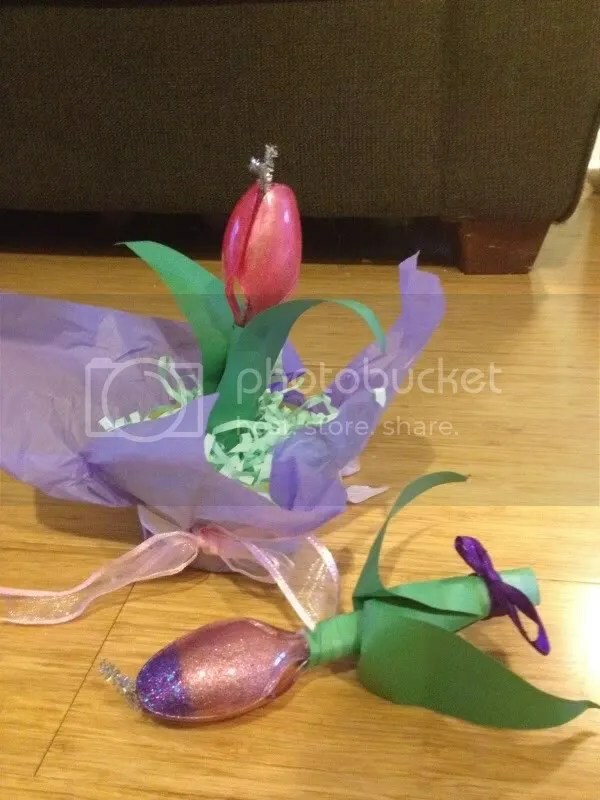 And I am sharing a cute growing flower craft. Ask an adult to make a small slit in the bottom of your cup, just large enough to fit the popsicle stick through. Cut out your flower and leaves using the provided pattern. 3. 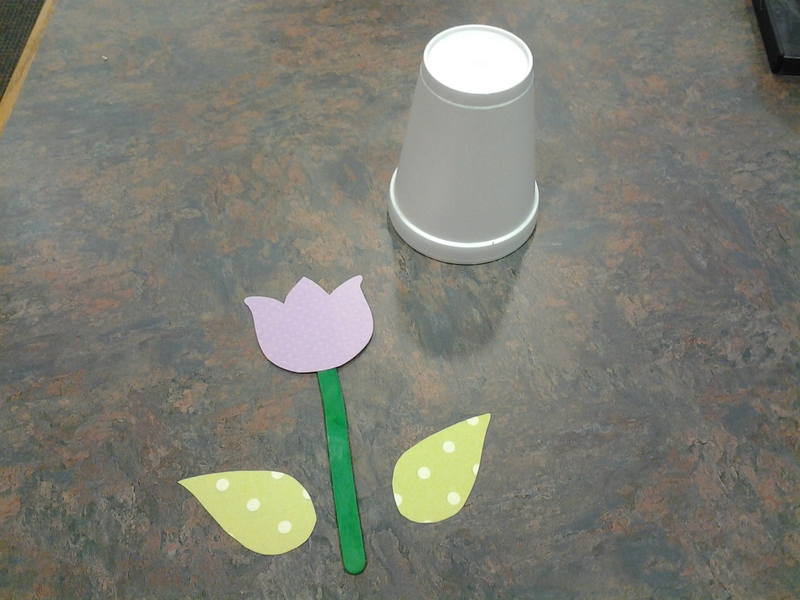 Glue the flower and leaves to the popsicle stick and insert the stick through the bottom of the upside down cup. 4. Reach your hand in from underneath (the opening of the cup) to raise and lower the flower so it looks as if it’s growing. Decorate the cup with markers, crayons, and stickers for a fun spring look! 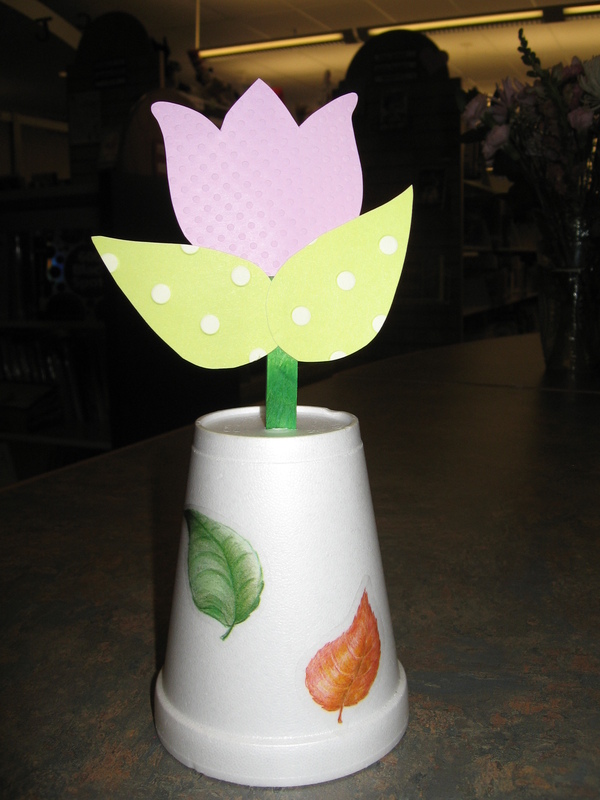 Use pretty sheets of scrapbook paper for fun patterns on your leaves or flower. cut two leaves and one flower.